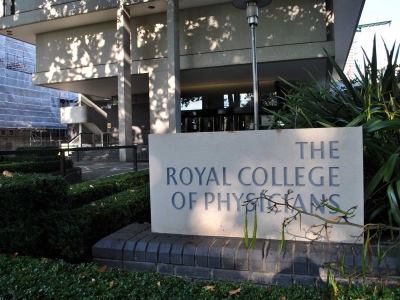 The Royal College of Physicians today launched a survey to assess its members’ views on assisted suicide. The survey consists of four multi-choice questions with the option to write a more detailed response. It closes on 17 November. The accompanying consultation document explains that the College last surveyed its membership’s views on this issue in 2006 when the House of Lords was considering Lord Joffe’s Assisted Dying for the Terminally Ill.
At that time 73.2% of UK-based RCP fellows and collegiate members who responded did not believe a change in the law was needed, with 26% believing the law should change. The vote came out just before the Bill’s second reading in the House of Lords and helped to contribute to its defeat by 148 votes to 100. This policy was later reaffirmed by the RCP’s Council in 2012. This new survey has been prompted by Lord Falconer’s Assisted Dying Bill which seeks to legalise assisted suicide for mentally competent adults with less than six months to live. It has its committee stage (when amendments to the bill are considered and debated) on 7 November. I have previously argued that the Falconer Bill is a recipe for the abuse of elderly and disabled people. Furthermore, public support for it falls from 73% to just 43% when the major arguments against it are heard. There are also strong signals coming from the US state of Oregon, where very similar legislation was passed in 1997, that this is not the route to follow. The experience of other jurisdictions, like the Netherlands and Belgium, casts a dark shadow. As the RCP consultation document notes, the BMA, the Royal College of Surgeons of England, the Royal College of General Practitioners and the Association for Palliative Medicine are also opposed to a change in the law on assisted dying. 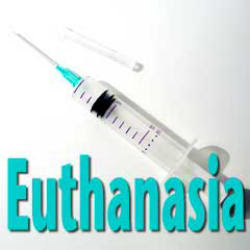 Assisted suicide is unnecessary, dangerous and uncontrollable. The strong arguments against legalising assisted suicide, or any other form of euthanasia, need to be heard. We can be sure that the vocal minority of doctors who support such legislation will do their best to skew this vote. This is why it is imperative that the majority speaks clearly. If you have received an email from the RCP about this vote, please don’t ignore it. It takes only minutes to answer the four multi-choice questions above, and not much more to write something sensible in the comment box. It is the very least we can do to protect our patients and keep the law safe. A long-term pro-euthanasia campaigner has starved herself to death over five weeks because she could not have her life ended legally. Jean Davies, 86, did not suffer from a terminal illness but said her life had become ‘intolerable’ after a series of fainting spells. She died at home in Oxford on 1 October after giving an extensive interview to the Sunday Times. Mrs Davies became involved in the right-to-die campaign as far back as the 1970s and was president of the World Federation of Right to Die Societies from 1990 to 1992 and was chair of the Voluntary Euthanasia Society UK (now Dignity in Dying). In 1997, her book Choice in Dying argued for British law to allow doctors to end their patients’ lives. According to her daughter she died peacefully and was ‘smiling at everyone’ the day before. I was asked to comment on this story by the Sunday Times and my comments have been picked up in several follow up accounts in other papers (eg. Times, Express, Guardian, Daily Mail). Essentially here, we have a long-time euthanasia campaigner attempting to use her own death to further the cause she has championed throughout her life. Ironically her own daughter said in an interview that her case proves those who want to die already have power to take their own lives and that the law therefore does not need to be changed. Her GP, a Christian who does not believe in assisted dying, told the Sunday Times he had treated her symptoms after consulting his defence union. ‘It is not illegal to starve and dehydrate oneself to death but neither is it right. My fear is that this unusual and tragic case will be seized upon by the pro-euthanasia lobby to further their agenda of legalising assisted suicide and euthanasia. We should recognise this ploy for what it is and reject it. However we might sympathise with this woman’s condition, by deliberating choosing to go public with it she is adopting a campaigning stance in the footsteps of Kuhse. It is, if you like, a subtle form of emotional blackmail aimed at softening opposition to a change in the law to allow assisted suicide or euthanasia. There are good reasons for keeping the law as it is. Any change in the law to allow assisted suicide or euthanasia would place pressure on vulnerable people to end their lives for fear of being a financial, emotional or care burden upon others. This would especially affect people who are disabled, elderly, sick or depressed. 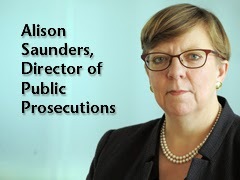 In an astounding about face for the Crown Prosecution Service, the Director of Public Prosecutions, Alison Saunders (pictured), has today rewritten her prosecution policy so that doctors can now be involved in assisting suicide without fear of prosecution, provided they don't have a professional relationship with those they 'help' (See Daily Mail here and here, Daily Telegraph, Yahoo, Premier, CT, ES). The move has not surprisingly been welcomed by euthanasia campaigner Michael Irwin, and will also be music to the ears of Philip Nitschke. Both Irwin and Nitschke are medical practitioners who have become media celebrities through their high profile campaigning for the legalisation of assisted suicide, and high profile assistance to those wanting to end their own lives. Now it will be much easier for them to do so without a backward glance. Michael Irwin was found guilty of serious professional misconduct by the General Medical Council in 2005 and was struck off the medical register after admitting supplying sleeping pills to help a friend kill himself. He now claims to have helped at least 25 people to die at the Dignitas facility in Switzerland. Irwin, nicknamed 'Dr Death' for his activities, said the change was a 'wonderful softening' that would 'make life easier' for people like him. Nitschke, who travels the world instructing people in how to end their lives using barbiturate drugs and nitrogen, is currently being investigated by police in every Australian state over his possible role in nearly 20 deaths in the past three years. Both men will now be able to sleep more easily in their beds and to continue their activities in Britain with considerably more peace of mind. And the DPP will no longer have to explain why she hasn't so far made moves to prosecute them. Under the Suicide Act 1961, assisting or encouraging suicide remains a crime attracting a custodial sentence of up to 14 years. 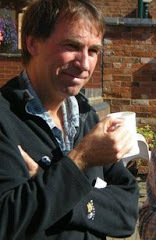 But in order to be prosecuted any given case must pass two tests applied by the Crown Prosecution Service. The evidence test requires that there be enough evidence to bring a successful prosecution. The public interest test involves the application of 22 criteria, 16 making prosecution more likely and 6 making it less likely. Up until now a suspect ‘acting in his or her capacity as a medical doctor, nurse, other healthcare professional, a professional carer [whether for payment or not]’ was more likely to be prosecuted. But the DPP has now amended this criterion so that it only applies if the victim was in his or her care. In other words, it will not apply in the case of doctors like Irwin and Nitschke who are assisting the suicide of people who are not actually their own patients. This is very concerning indeed. The Director of Public Prosecutions is effectively at a stroke of her pen decriminalising assisted suicide by doctors and other health care professionals as long as they don’t have an existing professional care relationship with the patient. This weakens the protections for sick and vulnerable people and effectively gives a green signal to anyone in Europe wanting physician assisted suicide that Britain is open for business. It also opens the door to a Dignitas style death ‘clinic’ being set up in the UK. Alison Saunders’ new guidance is an invitation to doctors who wish to push the boundaries and assist people to kill themselves to have free rein and go ahead. The DPP’s job is actually to administer the law, not to usurp the democratic authority of Parliament, which ironically (or was it by design?) is due to discuss this issue in just a couple of weeks’ time. The DPP has justified her position by reference to a highly contentious statement by one of the judges in last June’s Nicklinson/Lamb judgement in the Supreme Court. But in so doing she has run roughshod over the original meaning of her own prosecution guidance. The original prosecution guidance, developed in 2010, made it abundantly clear that any doctor or other health professional who assisted with a suicide was running the risk of prosecution. Furthermore the General Medical Council (GMC) has warned that such doctors risk censure, including being struck off the medical register (see details of DPP and GMC guidelines here). Medical defence agencies have interpreted it in this same way in their advice to doctors and it has provided a strong deterrent to doctors abusing their powers. But now the DPP has swept all of this aside with the mere stroke of a pen. In so doing she is acting way beyond her brief by effectively decriminalising physician assisted suicide by stealth. When the guidelines were originally drafted by the former DPP, Keir Starmer, they were made subject to lengthy and rigorous public consultation. But Alison Saunders, rather than fulfilling her duty of upholding the law, has effectively chosen to rewrite it without apparently consulting anyone at all. By doing this just weeks before Parliament is due to debate the matter she is raising two fingers to British democracy. In May 2012, the Solicitor General said in a parliamentary debate that if ‘a future DPP overturned the guidelines, (s)he would be judicially reviewed for behaving in a rather whimsical way'. I hope that such a judicial review will now indeed take place. But more than that I hope rather that the DPP will be forced to go in front of Parliament to explain why she has rewritten the current law, ignored the will of MPs and peers and put at risk the lives of many vulnerable people in our country. As the British government convened a pledging conference for Ebola in London Thursday, a group of 34 NGOs called for the deployment of ‘military capacity’ to contain the disease in West Africa. There is a letter in today’s Lancet along the same lines. Here is the Joint statement from 34 NGOs issued yesterday by the International Conference on Effective International Response to Defeat Ebola in Sierra Leone. The British government urgently needs to respond to this call. The world is facing an unprecedented crisis in West Africa. Infection rates are growing exponentially – the number of cases is doubling roughly every three weeks. In Sierra Leone the situation is critical: Ebola has spread throughout the country, infecting at least 2,300 people that we know of; the real number is probably much higher. Many health centres and hospitals have closed and those that are still open are full to capacity, with sick people being turned away. The international community has a window of opportunity over the next four weeks to stop the crisis from spreading completely out of control. To do so, we must support national authorities, health workers, humanitarian agencies and community groups to break transmission rates and halt the exponential increase in cases. As I speak, our agencies have hundreds of staff on the ground fighting the spread of the disease. We are involved in every aspect of response from treatment to provision of equipment to body disposal and prevention and awareness raising, as well as dealing with secondary impacts like food security. We also have dedicated teams working in neighbouring countries to prepare for the worst case scenario. Our staff say they are fighting for the very survival of their communities. We welcome the strong commitment demonstrated by many Governments so far in responding to the crisis, and the leadership shown by the UK Government in supporting Sierra Leone and in convening today’s conference. But a further and massive increase in financial, human and material capacity is urgently needed to halt the spread of Ebola and mitigate its impacts on the hard earned development progress of Sierra Leone and other countries in the region. This is a matter of the utmost urgency. Let me discuss six key ways the international community must respond in the next four weeks. 1. Donors must act fast in committing and disbursing funds. Like chasing a ball down a hill, every day that we delay in disbursing resources to affected countries, the more impossible it becomes to contain the disease. Only a quarter of the total required funding for the region has been committed. We urge donors to increase and quickly disburse national pledges against the UN Appeal within a two-week timeframe. Donors should ensure that funding is flexible, allowing NGOs to respond appropriately to a rapidly changing situation. 2. Donors and governments must ensure that health care workers are trained and equipped. Health care workers are our most precious resource in this crisis, but hundreds have already been infected. Health centres in Sierra Leone lack crucial tools and supplies for diagnosing, isolating and treating patients with Ebola and for protecting health workers tending to those infected by Ebola. We call on donors and governments to ensure that health workers have training in Infection Prevention & Control, and consistent supplies of basic equipment including chlorine, gloves, personal protective equipment (or PPE). 3. Governments must rapidly identify and deploy military and civilian capacity. Financing and equipment alone will not stop this crisis. There is an urgent need for human resources: Aid agencies simply do not have the medical, WASH or logistical staff we need to scale up our response. As a measure of last resort, we are calling on governments to release military capacity to set up facilities and help manage them, in accordance with the Oslo Guidelines, and to expedite the deployment of volunteers from health services and agencies. Governments must also create an enabling environment for volunteers. More people are now volunteering, but to access this huge and priceless resource requires a guaranteed medevac system, and other logistical and financial support. We call on states to solve this obvious and critical problem here today, by agreeing to operationalise and fund a dedicated medevac system for all staff, regardless of their nationality or organizational affiliation. 4. Donors, governments and INGOs must support community mobilization efforts. Treatment will never be enough unless we use effective community mobilization, including support for local media, to reduce transmission and dispel rumours and misunderstanding about Ebola. This can be done far more effectively through the many community groups and associations who are active in treatment and messaging on Ebola. Donors should support these community mobilization efforts and provide logistical support to appropriate community-based activities. Governments and INGOs must work closely with local groups, consulting them before disseminating health promotion messaging, and ensuring that communities have access to accurate information about Ebola. 5. States must urgently support preparedness and contingency planning in neighbouring countries. The UN estimates that it will cost almost $1 billion to respond to Ebola and its secondary impacts, but this projection only covers the cost of the response in the three countries with confirmed cases. It is critical to work with governments in the region to strengthen preparedness and contingency planning so they are ready to quickly respond to any potential outbreak. 6. The international community must respond holistically to all impacts of the crisis. The hidden cost of this Ebola outbreak is huge. As national resources are diverted to responding to the outbreak, health systems have collapsed. Easily treatable and preventable illnesses such as malaria and diarrhoea are claiming hundreds of lives, while mothers are dying in childbirth due to treatable complications. Children are missing vital months of education as schools have been closed. Many who are orphaned when parents die of Ebola have no one willing to care for them due to the perceived fear of transmission. We are urging donors and governments to implement a holistic response to the crisis, addressing the gender impacts of Ebola, the impacts on the wider health system, food security, protection and education. We can turn the tide on this outbreak today, in this room. As aid agencies and campaigning organisations, we are all scaling up our work, doing all we can to support the people affected by Ebola. But we need your help. The international community needs to move faster than it has ever moved before to prevent a catastrophe in West Africa with global implications. Every new case is a testament to how much more we still need to do, and we are running out of time.